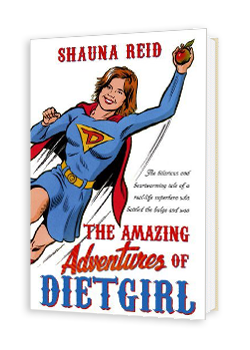 My outlook on all things diets have massively changed since this book was published. I’ve broken free from the shackles of diet culture and no longer believe I am defined by my size. Here’s a recent post I wrote about having conflicting feelings about Dietgirl, ten years on. My readers reminded me that they don’t see the book as being about dieting. It’s about growing up, seeking new adventures, finding out what one is capable of, and all that awesome twentysomething stuff. I hope you enjoy it!